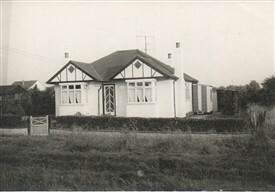 My family came to live in Hawkwell in the early 60s. We lived in Lascelles Gardens, right at the end of the road, almost surrounded by fields. The roads in that area were mostly unmade and occasionally all the residents would get together to put stones and rubble in the potholes in Harwood Avenue as it often became very difficult to get the cars through the puddles. 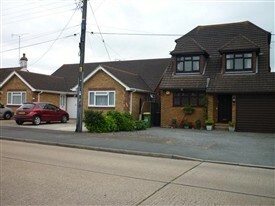 I couldn’t get my car as far as our bungalow but parked it on the corner by Harewood Avenue. Once, a little mouse made a nest in the glove compartment of my old Morris Minor. He travelled with me to Brentwood every day. At the end of the road, across the fields was Kirby’s Car breakers. Old Mr Kirby was in the habit of walking across the fields changing from his wellies into his shoes and leaving his wellies and walking stick in our front hedge, to be collected on his way back home. This page was added by Mave Sipple on 24/06/2012. 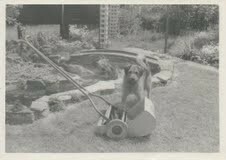 Hi Mavis, My grandfather lived in Lacelles Gardens sometime between 1930's-1950's as far as I know. My grandfathers name was Maurice Cooper. He lived there with his mother Florence Minnie Cooper and his blind grandparents. Florence married a man named Cecil Lambell in Brentwood in 1967 and died shortly after. Did you know them or of them? My email is chellec80@gmail.com. (RDCA-Admin please post any response here as a new comment rather than send an email to Michelle).